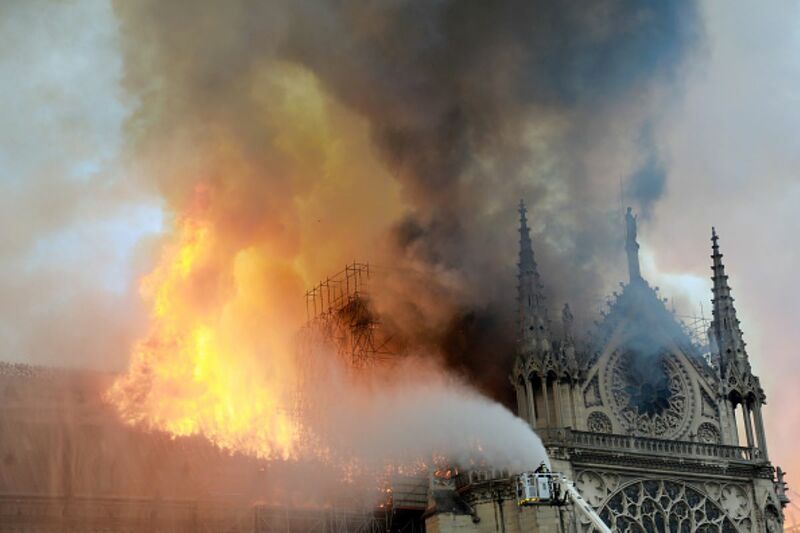 Fox News’ Neil Cavuto hung up on Catholic League president Bill Donohue on Monday when he refused to stop speculating that the catastrophic Notre Dame fire could be related to other recent attacks on Catholic churches in Paris. “Well, Neil, if it is an accident, it’s a monumental tragedy. But forgive me for being suspicious. Just last month, a 17th-century church was set on fire in Paris. We’ve seen tabernacles knocked down, crosses have been torn down, statues, —” Donohue stated. As Donohue mentioned, a number of churches in France have been vandalized during the early part of 2019. Vandals have smashed statues, knocked down tabernacles, burned an altar cloth, destroyed the Eucharist and smeared a cross with excrement. Firefighters likely struggled putting out the fire because of the Gothic engineering techniques that waterproofed the roof.